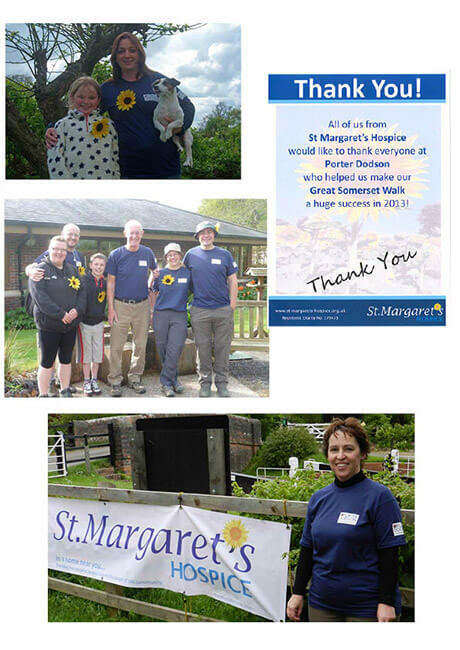 More than 400 walkers took part in the event, which took place on 12th May, and is aiming to raise over £25,000. The 34-mile route ran between the Hospice’s Yeovil and Taunton sites. Members of Porter Dodson’s team volunteered at checkpoints along the route and some took part in the Walk.